Bark like a Dog! Roar like a Lion! and Jump like a Kangaroo! Make the sounds and movements of some of Earth’s weird and wonderful creatures. Imagine the magic of your little one learning their first words. This beautifully illustrated picture book is designed to encourage toddlers to learn the basic sounds that we use in every day language. 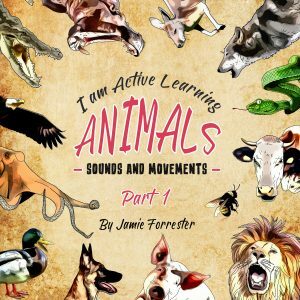 The perfect book to get children talking and moving. This book was inspired by my beautiful daughter Anita. I hope you all have as much fun reading it as we had creating it. Have you read this book? Tell us in the comments how you liked it!